Why choose Karndean Flooring at Parfitt's Carpets and Interiors? 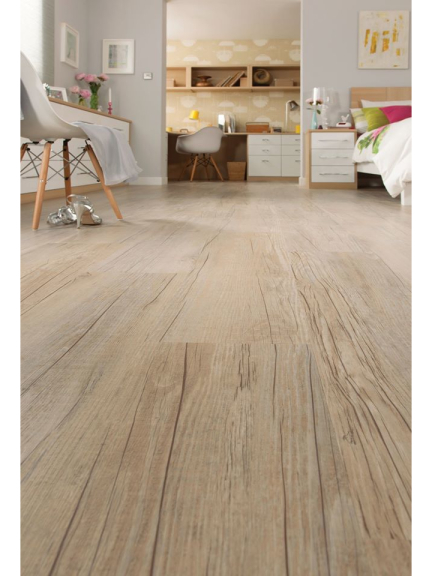 Karndean v. real wood – Karndean is indistinguishable to the real thing but will not shrink, crack or splinter! Karndean v. carpet – Karndean offers all of the choice but won’t stain or harbour dirt and germs like carpet! Making it first choice without compromise for those with allergies. It can be used in conjunction with underfloor heating (inducing a state of bliss!) and conservatories, as it can withstand high temperatures with no ill effect. It can be used in bath and shower rooms as moisture, likewise, causes no damage. Karndean doesn’t fade or wear which makes it the ideal choice both for domestic and commercial areas. Choose from an ever expanding range of tiles or planks, a range of finishes and centre pieces to create a floor unique to you and your property. Parfitt’s Carpets team of expert Karndean flooring fitters will take you through the design process to installation with no fuss or disruption to you.